Mention the Maltese Islands and one arouses thoughts of sun, sea and beaches. 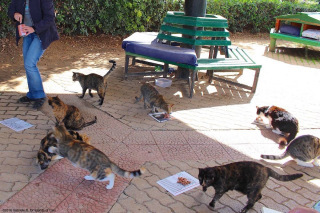 Whilst enjoying the archipelago’s rich offerings in history, culture, and, of course gastronomy, you cannot help but notice the feline members of the local population. 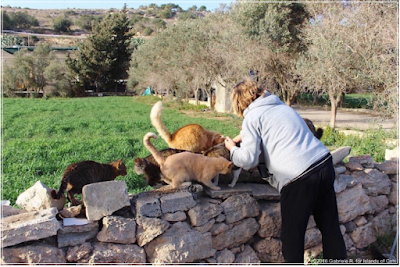 You will find strays in most corners of the world, the only difference is in Malta and Gozo the cats are not scraggy and musty, in fact the opposite, they are well fed and in peak condition, with glossy fur and bright eyes. 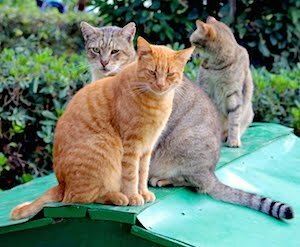 While touring the archipelago, Gabriele and I noticed there was an affinity between a part of the local residents and the Islands’ feline citizens. Curiosity got the better of us and we decided to discover more about these mostly shy and reserved caregivers. In our quest we were surprised to find that there was a sub culture of over 1,000 carers, and that they came from all walks of life, housekeepers, hand-workers, business persons, professional gamblers and university professors, all united in one cause – to act as guardians to the islands’ estimated 300,000 stray and feral cats. 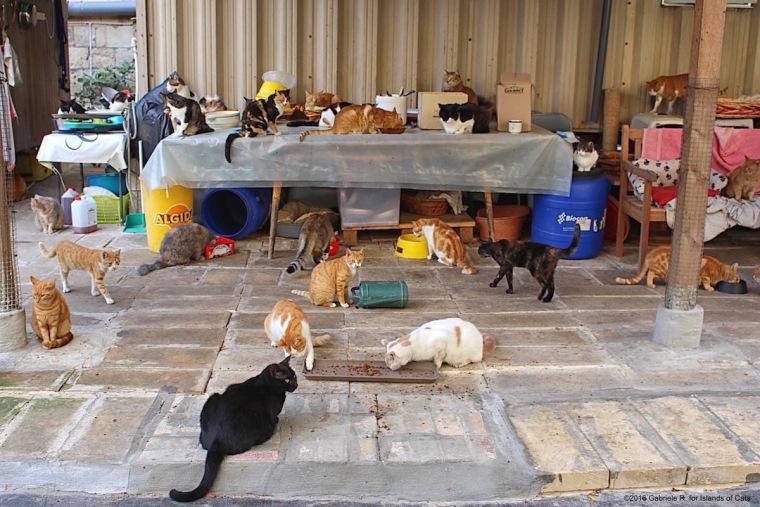 The fruit of our research is “Islands of Cats” a photographic journey, portraying a representative 22 of these humble and devoted caregivers. Each chapter is teeming with colourful descriptive photographs, which capture the carers and the cat colonies in genuine, unfeigned situations, and a narrative highlighting each caregiver. The book also includes interesting facts about the localities visited, besides cat related information. 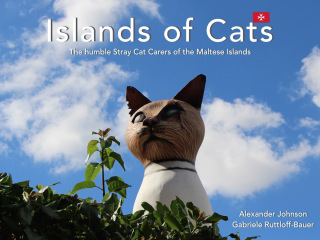 “Islands of Cats” is unique, as it is the first book to feature Stray Cat Carers and their work. As ebook available on Lulu.com in English, German and Maltese, and in the Kindle Store (English, German) for now, we hope to be able to release a hardcover version throughout the coming months. With every book sold, some proceeds will be returned to the stray cat carer community in Malta and Gozo in the format of food and vet vouchers, to provide some relief from their expenses, including TNR. 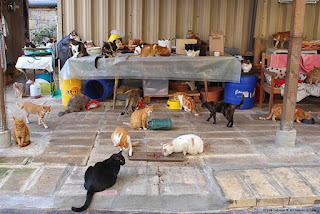 We are always open for feedback and will be happy to answer any questions about the Maltese Stray Cat Carer Community. Grazzi ħafna.